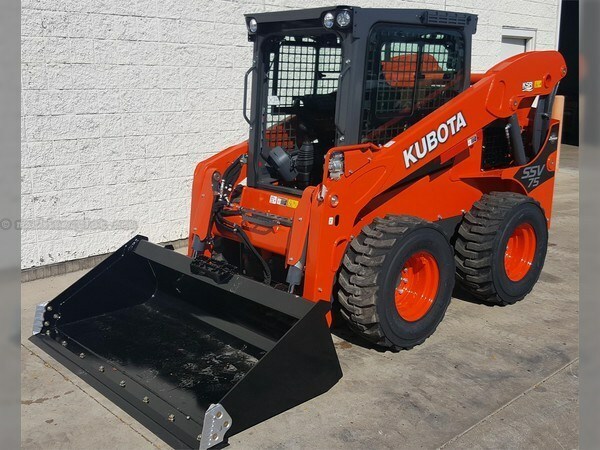 RENTAL RETURN Kubota SSV75 skid steer,Kubota 74HP diesel engine,Cab/Heat/AC,Pilot Controls,2-speed driver motors,hydraulic quick coupler bucket,low profile long floor HD construction bucket,aux hydraulics,Optional H-Pattern Kit Installed.CASH PRICE $43,300. 0% Financing available but waive cash rebate and price goes up. Say you saw this 2018 Kubota SSV75 On MachineryLot.com!